His name was on snares that illegally caught 2 bears. He says they were stolen from him. 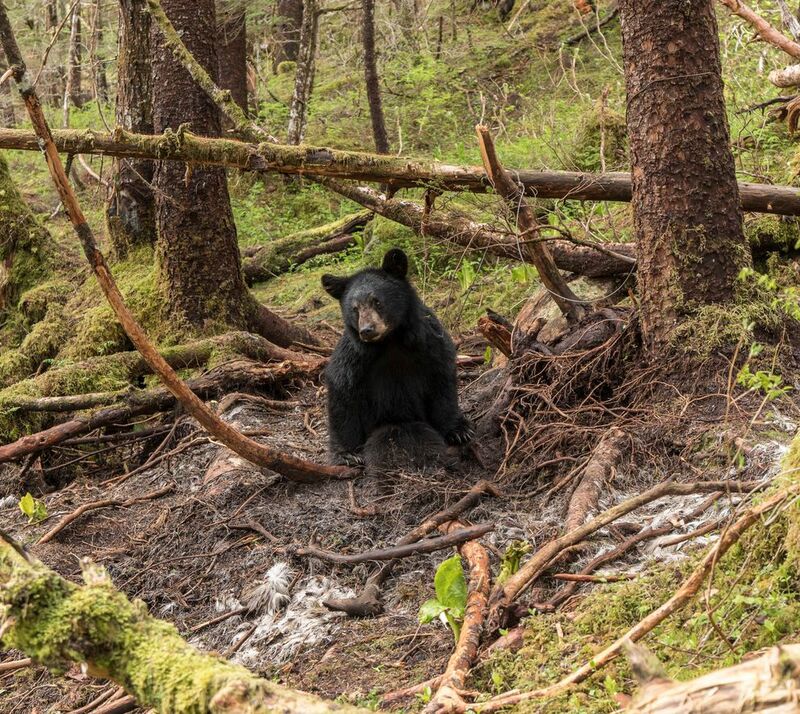 Two black bears died in Juneau this summer after getting caught in snares marked by the same person and set for wolves but illegally left out past the end of the trapping season. The snares, both found on Douglas Island, bore tags that identified the trapper who originally marked them: 39-year-old Mark Mitchell, a Juneau resident, according to an Alaska State Troopers update posted Thursday. It is believed that there are still additional snares in the field on Douglas Island or in the area of Thane, troopers say. Mitchell was cited in late May after hikers found a bear cub caught in a snare placed among mining ruins in an area known as Ready Boullion Creek, said Alaska Wildlife Trooper Jake Abbott. The bear was still alive when found, but the Alaska Department of Fish and Game euthanized it, Abbott said. "The snare had cut through to the bone on both hind legs." Mitchell's tag was on the snare, which was baited and still set despite the end of wolf-trapping season being April 30, troopers said. The case is scheduled for trial call next week. Then another group of hikers found an adult bear dead in a different snare 12 or 15 miles away near Eaglecrest Ski Area in July, Abbott said. The snare also bore Mitchell's tag but no signs of bait. The trooper, who interviewed Mitchell after the May incident, said he didn't think the trapper was trying to snare wolves during the closed season but instead hadn't removed his gear from the field. "Whether or not that was due to laziness or due to the fact that this person has so much gear out there he could not accurately keep track of it … I think will be a subject of debate if it goes to trial," Abbott said Friday. But the attorney representing Mitchell, Sitka-based Robin Schmid, says her client told her he believes the traps were among six stolen from him. It's not surprising, given the level of opposition to trapping in the Juneau area, that someone may have moved the snares, Schmid said. She shared a screen shot of a Facebook post in which someone talked about finding snares on North Douglas all the time and taking them down and throwing them away because it's "just (stupid) to leave them in the woods to kill other animals." It's also possible another trapper did it because Mitchell was setting snares in a new area, Schmid said. "His explanation is plausible to me," she said. "It's easy for people to be outraged when they see dead bears." Neither of the snares were set on or near trails, Abbott said. Mitchell, who works construction and had what the trooper described as a "fairly significant" trapping operation, is scheduled for arraignment on the new charges from the second snare in late September. Mitchell's hunting privileges were revoked until November for previous hunting violations, troopers say. A state courts database shows he was convicted in 2016 for a moose hunting season and bag limit violation, falsifying a permit, and not having a harvest ticket. The Alaska Board of Game in 2016 lifted a trap-tagging requirement in the Juneau area. The board is considering a proposal to restore the provision. Mitchell's tags made for a much faster investigation in the bear deaths, Abbott said. "Had these traps not been marked with a tag that would have made our investigation significantly more difficult." Anyone who finds any snares is encouraged to contact the Alaska Wildlife Troopers in Juneau at 907-225-5118.